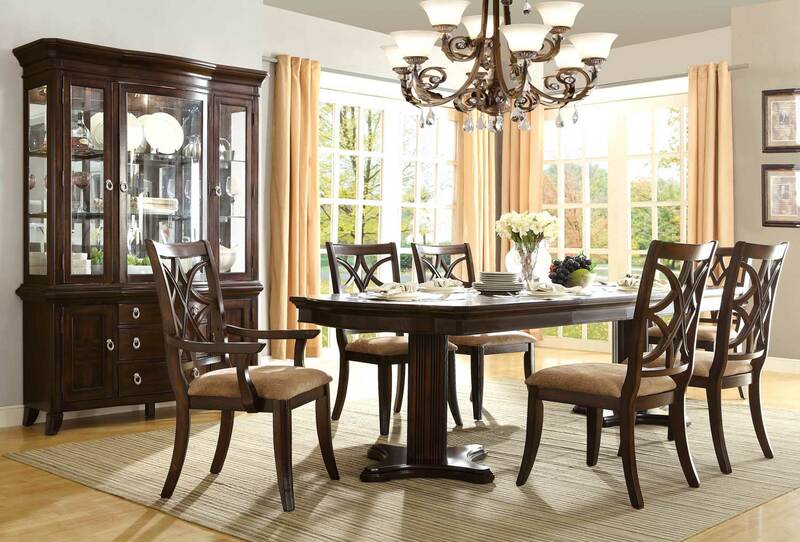 Excluding the sophisticated elegance that your formal dining room calls for, the Homelegance Keegan Collection will wow your dinner guests. 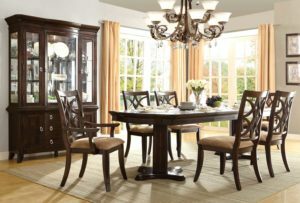 Each of the dining tables in the Keegan Collection by Homelegance. 108 inch tabletop with double pedestal base, 96 inch tabletop with leg supports and counter height table – feature a lovely Veneer pattern that is highlighted by the rich brown cherry finish. Accenting hardware is featured in satin nickel. The complimenting chair features a neutral tone fabric seat and elegantly overlapping chair back design. 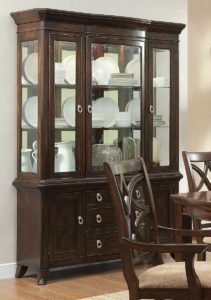 The China cabinet stands at attention, not only functioning as a storage facility for all of your tabletop’s guest, but as the grand centerpiece of this stylish dining offering. For additional storage, or for smaller spaces, the server features wine storage and unique mirror accent that adds a small height to the standard server. Storage features prominently on both pieces.